So surprise, surprise, the next TV show we'll be covering was discovered on Netflix. Isn't Netflix a wonderful thing? Anyway, the next show up on our Must-See TV for 2014 Fall list is ABC's Once Upon A Time, which premiered on October 23, 2011 and was created by Edward Kitsis and Adam Horowitz. The series stars Ginnifer Goodwin (Snow White/Mary Margaret Blanchard) Jennifer Morrison (Emma Swan), Lana Parrilla (Evil Queen/Regina Mills) Josh Dallas (Prince Charming/David Nolan), Jared S. Gilmore (Henry Mills) and Robert Carlyle (Rumplestiltskin/Mr. Gold). The series has completed 3 seasons and heads into its fourth this fall. It has been able to capture the magicial world of Disney and fairy tales and expand on the universe in its own unique way. Ranging from stories about Dr. Frankenstein to the Wizard of Oz, Once Upon A Time has no limits to its potential and where they can tap for material. Over the past few seasons we've seen them journey to Wonderland and sail off to Neverland, and this season they taken on the world of Frozen! 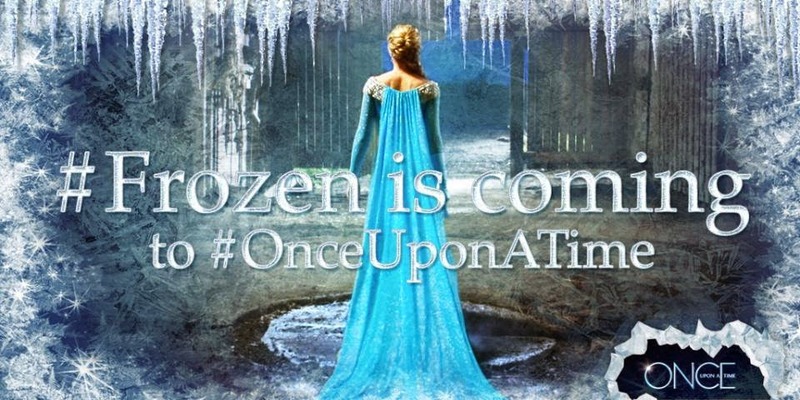 The fourth season of Once Upon a Time premieres September 28, 2014 on ABC.